That is something I believe in whole-heartedly. Being passionate about something and loving it so much that you can't wait to do it again. Having a purpose in life. I have introduced you to Stephanie Blunt Lunt Lussier before; she absolutely loves photography. She always has a camera close by; it doesn’t matter what the subject is, she just wants to take pictures. Stephanie has a busy life: she’s married, she has 2 adorable kids, she loves to go out to the dunes for racing and she’s a hard-core Sigur Ros fan. Throughout everything in her life, her passion for photography shows. 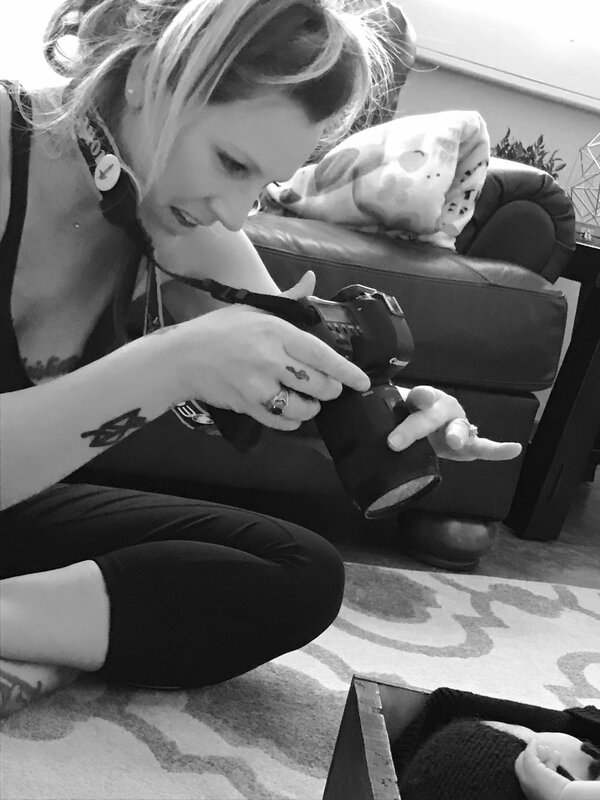 I got to witness her passion this weekend, when she asked me to assist her on a newborn session. I was excited; I love photographing babies and I wanted to see Steph in action, so I jumped at the chance. From the moment we met that day, Stephanie was prepared. She had a vision for the day and she had everything that she needed for that. We got to the house and met baby Carter and big brother Liam and right away, Steph set out to put their mom at ease. She was included in every decision and yet Stephanie had control. Mom had a few requests, I made a few suggestions, and Stephanie took those and added it into her vision. Her love of photography is evident as she works. She is completely at ease with her camera and she spends time making sure all the details are right. She made everyone feel comfortable during the session. Even when Carter peed everywhere, she kept her cool and just went about her business. It was a pleasure, getting to see someone who enjoyed what they do so much. I know that Stephanie has her hard days just like everyone, but when it comes right down to it, she is passionate about her photography. It shows in her work and how she talks about it and how she interacts with people. Looking for just the right angle. Life is not always gummy bears and iced coffee. Having something that you are passionate about- whether it's your family, a hobby, a goal, or your job- makes getting through the day a little easier. There should be something in your day that makes everything worth the effort. It's still going to be hard work, but now, there is purpose for what you do. You could ask anyone who is head over heels in love with their job and they will tell you that there are days that make them want to rip their hair out. But they get up the next morning and do it again because they love what they do. Being able to do what you love is such an enormous blessing. Sometimes being passionate about something doesn’t pay the bills. Believe me, I get that. But I have something that gives me joy through the challenging times. The passion for creating stories and putting all the pieces together gives me purpose. I love being surrounded by people who are passionate about something. It doesn't matter what; their energy is inspiring. It makes me so happy to see others achieve their goals, especially when they have worked so hard.